It's as reliable as the leaves changing color: every autumn, dozens of people write to us at Proven Winners® ColorChoice® asking, "How do I winterize my shrubs?" Sometimes they'll mention a specific variety, like Bloomerang® Purple lilac or At Last® rose, but the confusion and fear they feel about what to do with their plants as winter comes on is always the same. Let's change that right now. Here's the truth: as long as you've selected a shrub that is hardy in your area, you really needn't do a thing to prepare it for the coming cold. "Hardy" is a term that gets thrown around a lot, usually without much explanation. A plant's hardiness describes how cold the temperatures can get before the plant suffers severe damage or even dies. This is based on the climate in the area the plant is native to, and on observations from gardens around the world. To quantify this information for North American gardeners, the entire continent is divided into numbered zones based on average lowest temperatures. There are 11 zones total, with zone 1 the coldest and zone 11 the warmest. You'll find a plant's hardiness zone on its tag if it is a perennial, shrub, or tree. Annuals do not get hardiness zones, since they do not live through winter. Any plant that is hardy to at least your lowest zone number ought to survive winter. Mulch – apply a 2-3" thick layer of shredded bark mulch to the entire root zone of the plant. This offers significant benefits year-round, but is especially welcome in winter for its insulating properties and its ability to conserve moisture even in hard, frozen soil. Water – don't let your plants go to bed thirsty. Most climates get enough rain in autumn that watering late in the season isn't necessary, but if precipitation is scarce, a good watering before the ground freezes isn't a bad idea, especially for shrubs planted that same year. 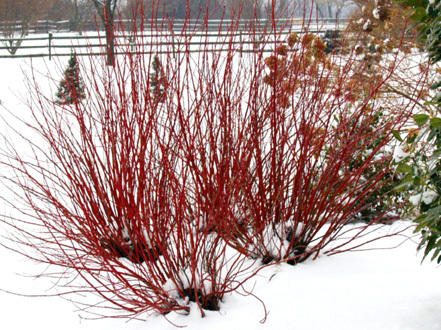 Avoid Pruning – in cold climates, shrub pruning is best left until spring. Leaving the plant intact provides extra protection for the lowest and most crucial buds on the plant. Plus, waiting until the buds begin to emerge in spring allows you to make the most educated decisions about how much and where to prune. Protect from Pests – insects aren't typically a problem in winter, but a whole host of furry friends may visit your garden in winter in search of food. When they do, they can cause quite a lot of damage. Rabbits, mice and voles typically chew on branches to consume the tender, moist layer just below the bark. This type of damage is usually seen at the base of the plant, although when it snows, you'll see damage further up the branches as the snow elevates the animals to new feeding perches. Deer eat plants from the top down, and they often find our garden plants far tastier than what is growing in the woods. They are particularly fond of evergreens like arborvitae, rhododendron, and holly. If you live in areas where these animals are frequent visitors, it's a good idea to protect your plants. You can create a physical barrier over or around the plant with deer netting, wire mesh (like hardware cloth or chicken wire), or even burlap. Save the "winterizing" for your sprinkler system, your pond, and your fountain. 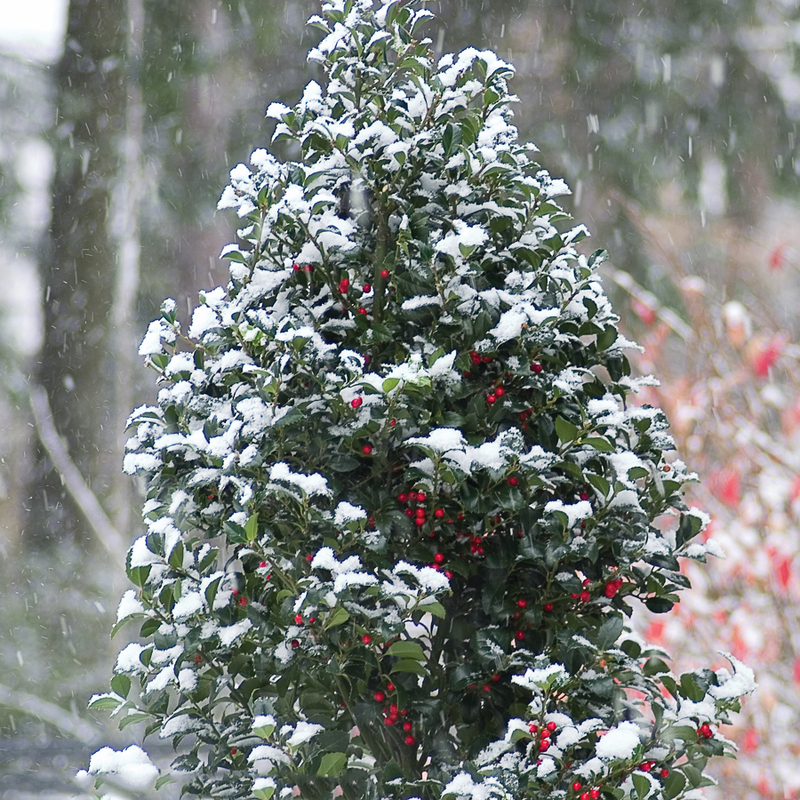 All you really need to get your shrubs ready for winter is to make the right choice in the first place!